Fees associated with Polish PCT national phase entry as well as other patent fees are available in the fee calculator. The deadline for entry the PCT national phase in Poland is 30 months from the date of priority. The restoration of this term is not possible. For obtainment of the filing date, a patent application in Poland must contain at least a request and parts which appear to be a description of the invention and a patent claim or claims. The official language of the Polish patent application in Polish. If the international application is filed in any other foreign language, the Polish translation thereof must be filed within three months from entering the PCT national phase. Official legalisation is not required. The POA may be submitted within two months from entering the national phase. If the applicant is a legal person it is necessary to provide the Polish Patent Office with the excerpt from the Commercial Registry certifying the person signing the POA is duly authorised to act individually on behalf of the company. If the inventor differs from the application of the Polish patent application, the Assignment Deed should be provided to the Patent Office within two months after office invitation. The substantive examination of a Polish patent application is started automatically. According to the amended Law as of December 1, 2015, the novelty grace period in Poland constitutes six months preceding the filing date, on condition that disclosure was prejudicial and was made by a third party. Previously, novelty grace period was not stipulated for a patent application in Polish IP legislation. Within three months from issuance of the Notice of Allowance the official grant fee, patent publication fee as well as the first annuities should be paid. 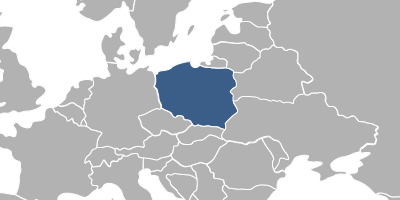 Foreigners residing outside Poland must perform the PCT national phase entry in Poland through an agent, a registered Polish patent attorney. 1. Online Search databases: Polish Patents, European Patents (EPO). 2. The PCT application in Poland may also be nationalised via European route and its further validation in Poland. 3. PCT applications may also be protected as Utility Models in Poland, which are subject to formal examination only. Utility Model applications are granted in approximately 2-4 years. Maximum protection period of a utility model in Poland is ten years from the date of filing. There is no limitation in the number of claims to be registered as Utility Model by Polish law.